I am a textile artist, master hat-maker and period costume-maker based in my studio-shop Hat in the Cat in Bridgend, Perth. 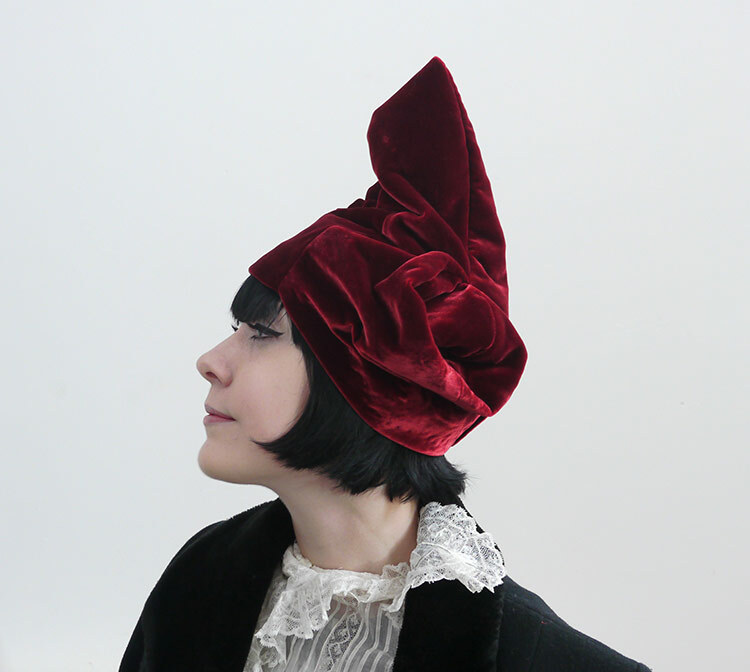 In the studio I stock a wide range of seasonal, ready to wear hats. If you would prefer to discuss styles, colours or fabrics in person and commission your own made to measure model you are most welcome to arrange an appointment by telephoning Hat in the Cat on 01738 624213. If I can’t answer the phone, please leave a message. I will return your call as soon as I can. I offer a range of hat making classes at Hat in the Cat throughout the year. Please see the hat-making classes page to check them out. Shop opening hours are usually 10am–5pm, Tuesday to Saturday. I recommend that you phone first to make sure that I will be available. Please also ensure that you have enough time to fully explore your requirements when you make the trip. During your visit to the studio at Hat in the Cat you are also welcome to browse the collection of reasonably priced scarves, brooches and other handmade accessories on sale as well as the stunning hand-dyed yarn, dyed in Newburgh at Big Cat Textiles by Alison Mountain.